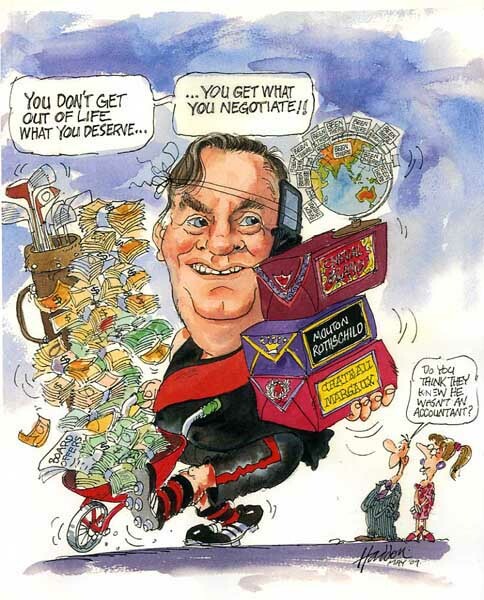 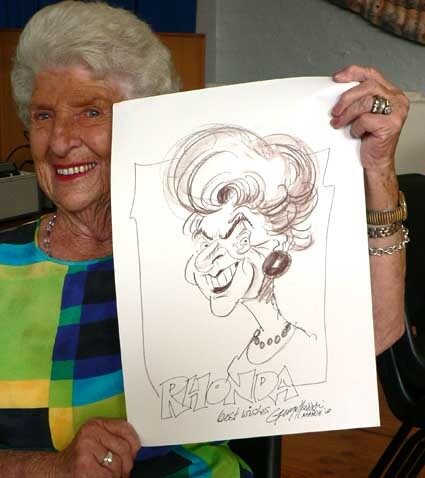 Haddon’s on-the-spot caricatures are spot-on! 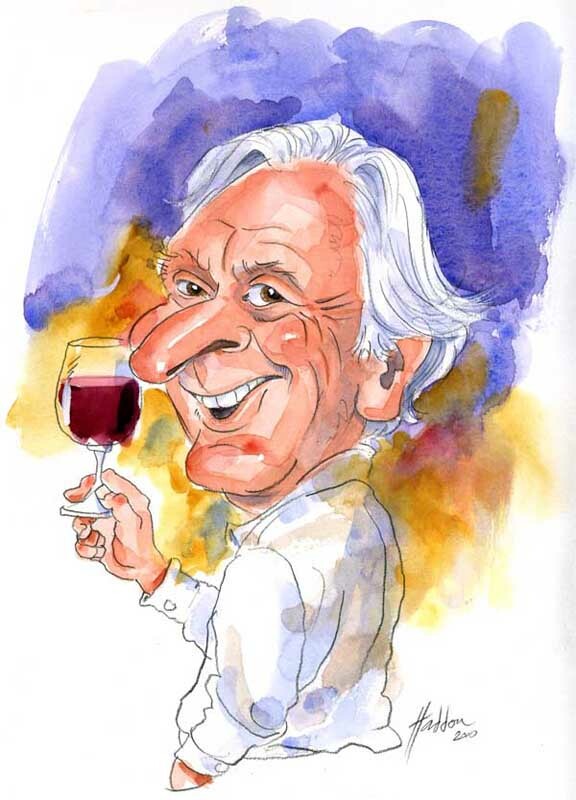 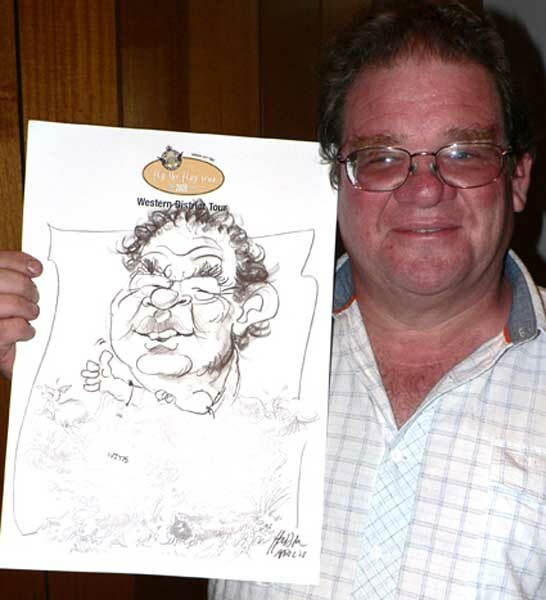 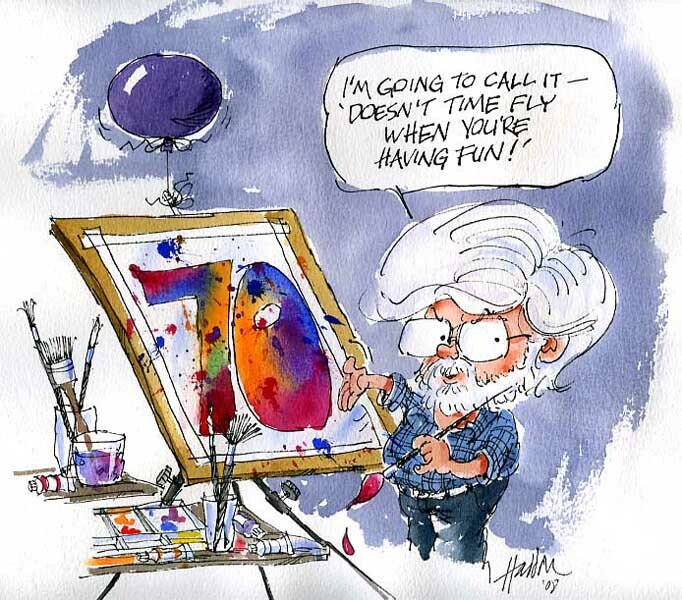 He is fascinated by the challenge of creating a likeness in just a few minutes and gets caught up in the fun of entertaining and delighting your guests or clients with an hilarious caricature of themselves to be taken home, (straight to the poolroom?) 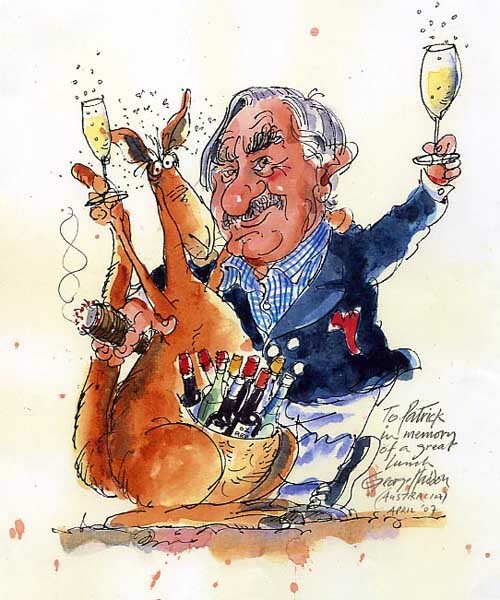 serving as a special memento and reminder of the occasion long after the event is over. 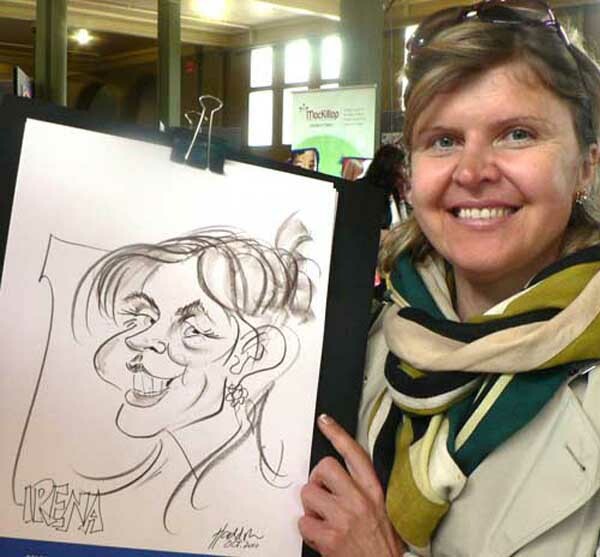 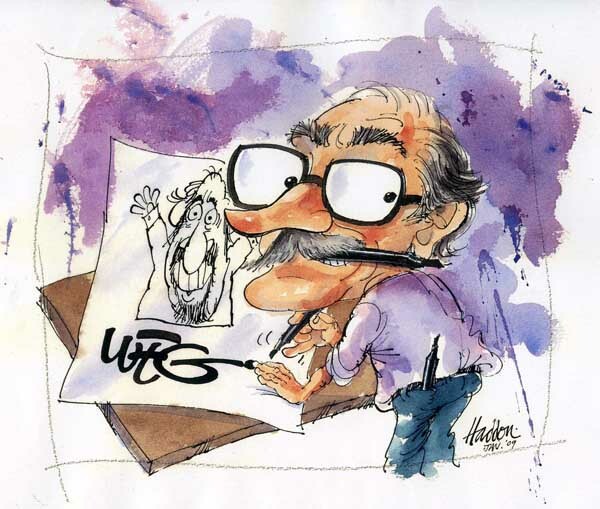 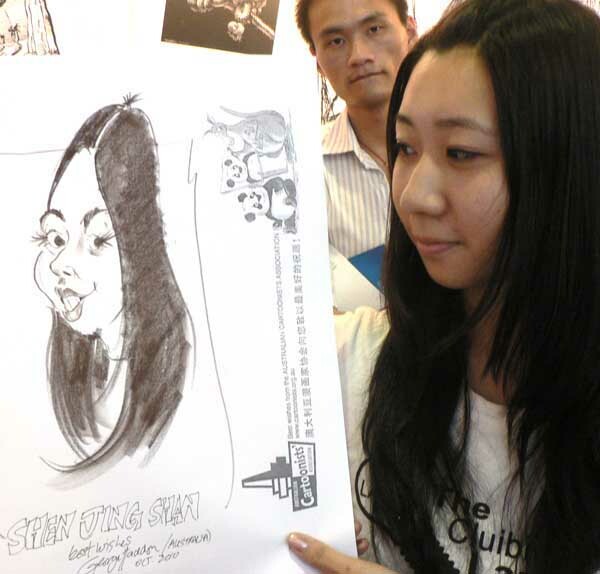 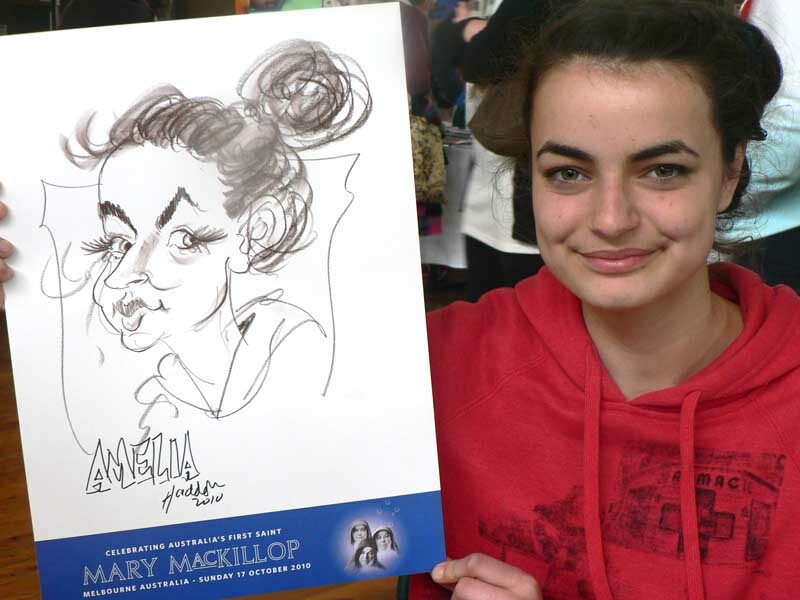 His caricatures can be the highlight of an event with people queuing to be caricatured, or to help draw attention to your stand or display at trade shows by attracting prospective clients to be caricatured. 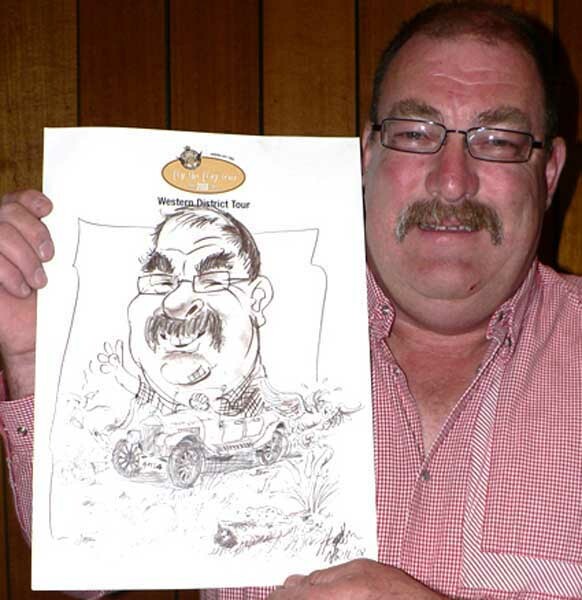 Haddon has drawn at all types of corporate functions, including training seminars, corporate team events, sales and marketing seminars, luncheons, dinners, fundraising events, club nights and staff end of year celebrations. 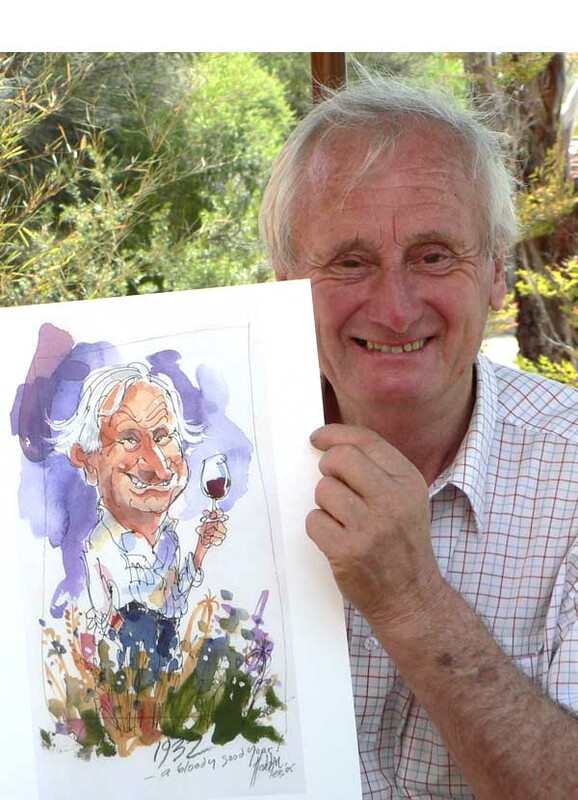 He has been commissioned to draw at events around Australia and internationally – even on the high seas, entertaining fellow cruise passengers. 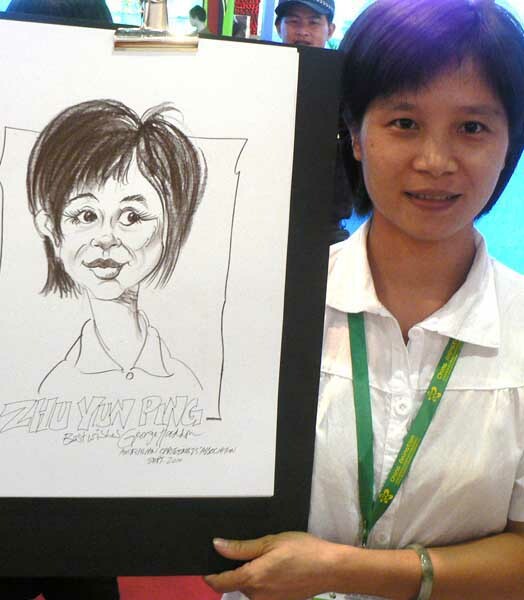 On- the- spot caricatures are drawn on quality A/3 size paper and presented in an envelope for protection. 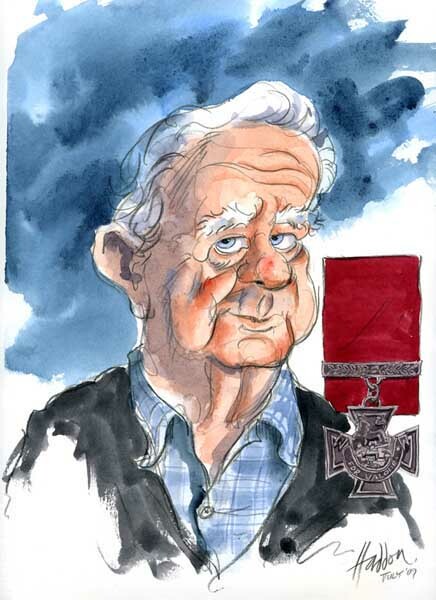 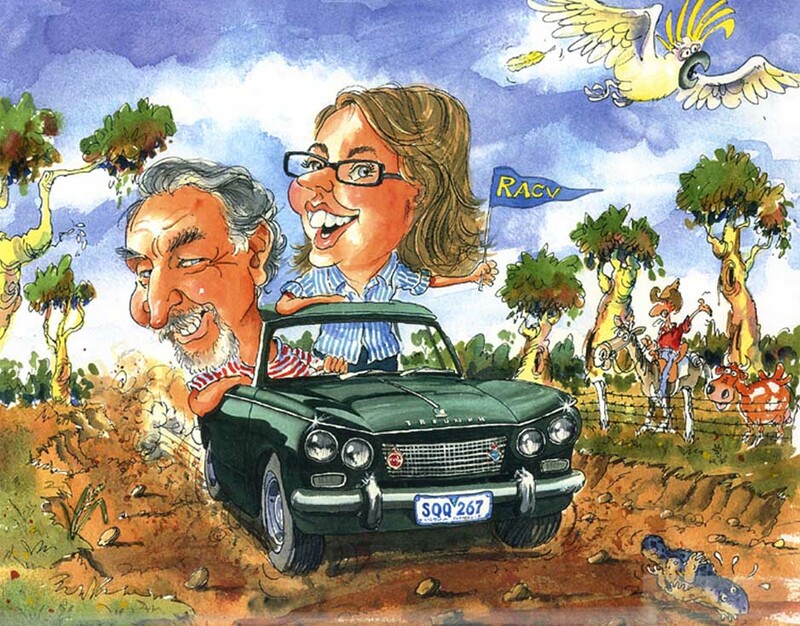 Special gift caricatures for special occasions such as retirement presentation, farewell gift, anniversary or birthday, are hand drawn in either one colour or full colour on heavy, quality watercolour paper. 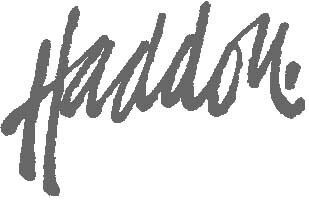 Haddon charges a basic hourly rate reducing each extra hour up to 4 hours. 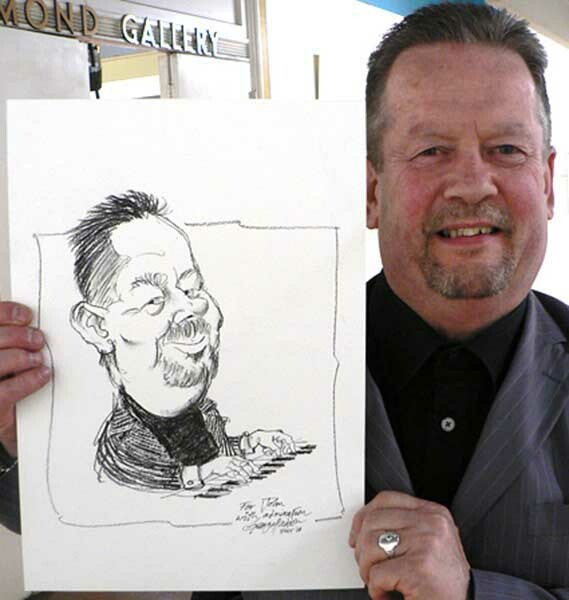 TO CONTACT HADDON FOR A QUOTE, TO INVITE HIM TO YOUR NEXT FUNCTION OR REGARDING A COMMISSION, GO TO CONTACT.